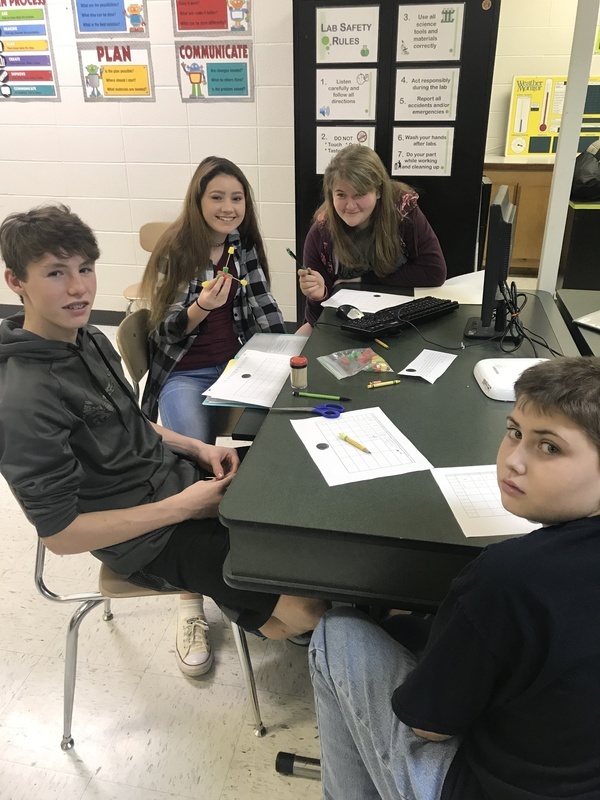 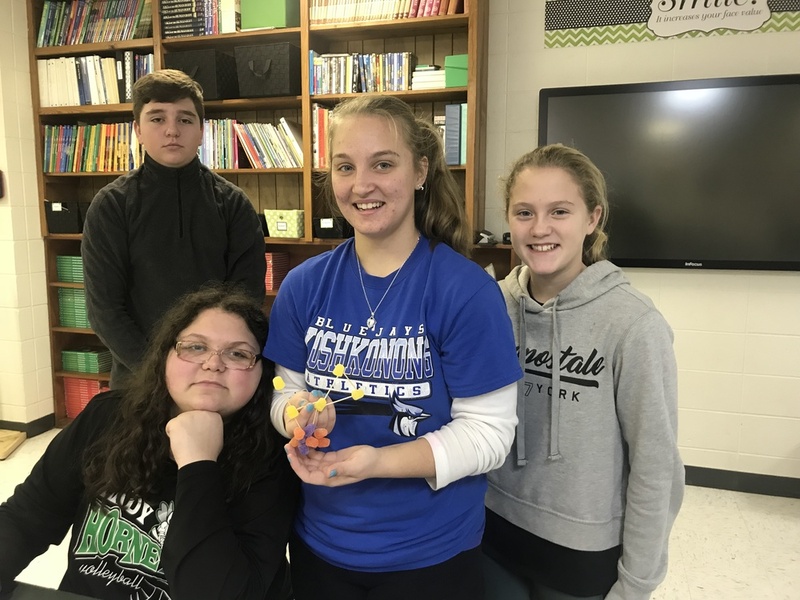 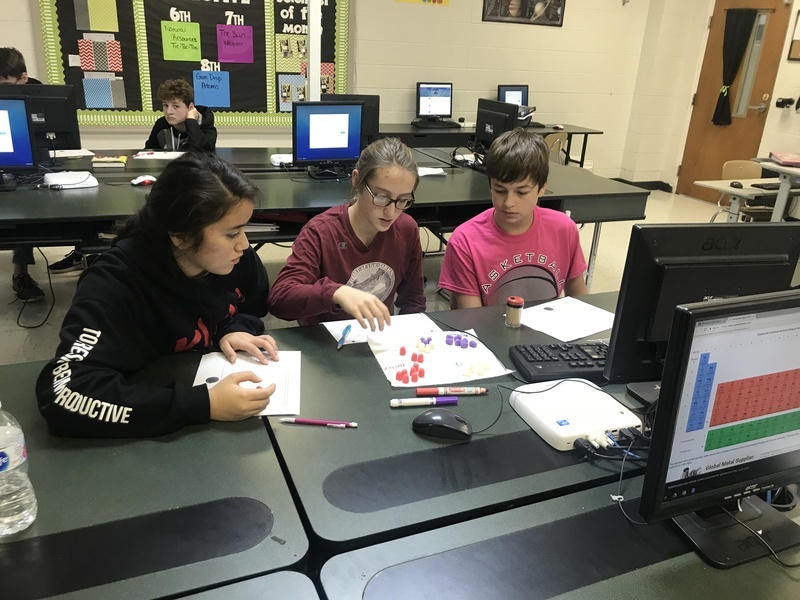 Ms. Blankenship’s 8th grade science classes have recently been studying about atoms and their subatomic particles. 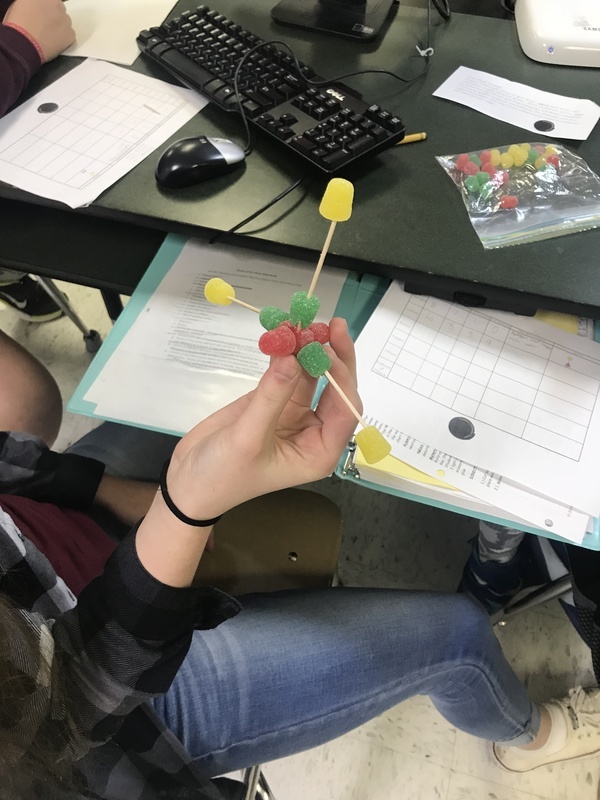 In this lab activity students explored six different atoms. 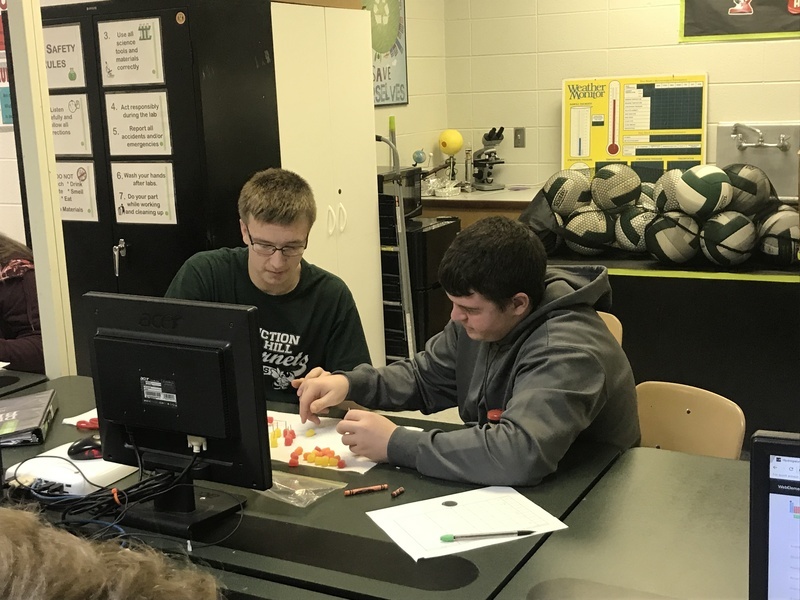 They were asked to find the number of protons, neutrons, and electrons in each atom, and then they built a model of each atom using three different colored gum drops and toothpicks. 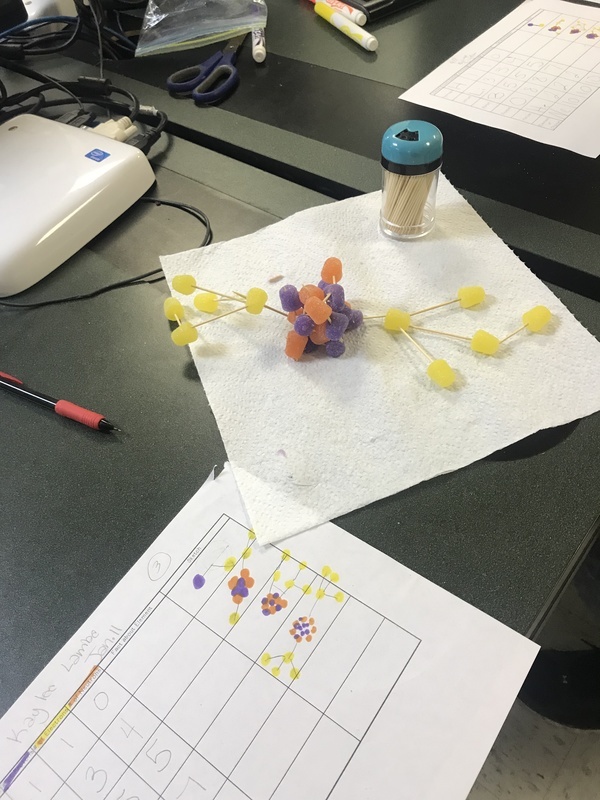 Toothpicks were broken in half to simulate the bond inside the nucleus and whole toothpicks were used to connect the atom’s electrons to the nucleus.